I wasn't really intending to buy anything from Zara what with my recent purchase from Mango and all, but when I put that dress on, there it was: cute as heck and just begging to be bought. I didn't feel the least bit guilty about buying the dress because I did pass on the nice pair of black suede boots that I tried on with it. It was an exercise in self-restraint. The dress, sir, is my reward. Then the cashier tells me: You know, if you have a Metrobank credit card, and your purchase amounts to at least Php3,000, you get to pay for it 60 days later and at 3 months zero percent installment. That is some fine sales talk right there. So, in goes that gorgeous smelling cologne I'd been toying with at the counter while I waited for my turn at the register. After that, it was time for dinner. 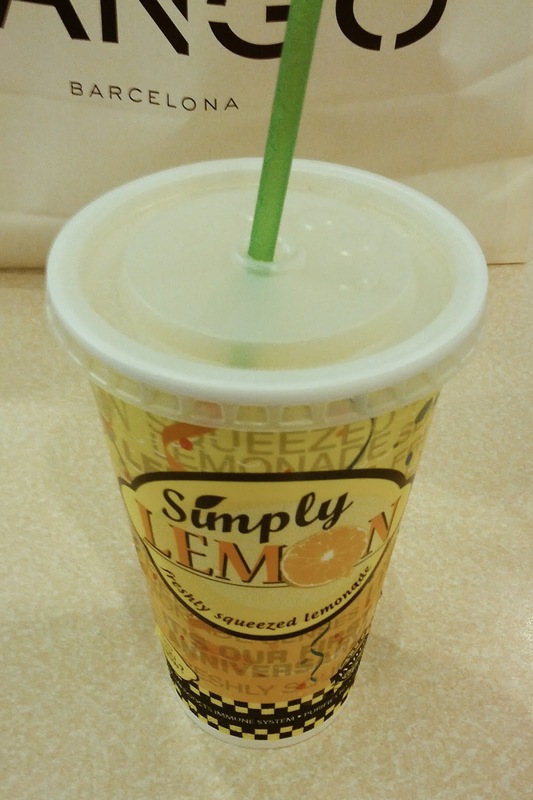 I passed by my favorite lemonade stand near the ice skating rink, bought myself a big cup of lemonade and I headed over to the food court. I was craving for Turk's Shawarma as it turns out. All meat, I told the guy behind the counter, none of that vegetable nonsense. As I plunked myself down a table with my shawarma and lemonade on either hand, I saw a new food stall that sold takoyaki. Ichiban Daco - authentic Osaka Takoyaki, the sign read. Php35 for 4 pieces of takoyaki? Yes, please. O, I am so gullible. But I was grateful for that character flaw, because those were some really good takoyaki. (There were several flavors to choose from. I chose prawn.) I wolfed down each prawn takoyaki with fervor and I had to restrain myself from buying more when the last morsel was gone. Never mind that they were piping hot, they were delicious. 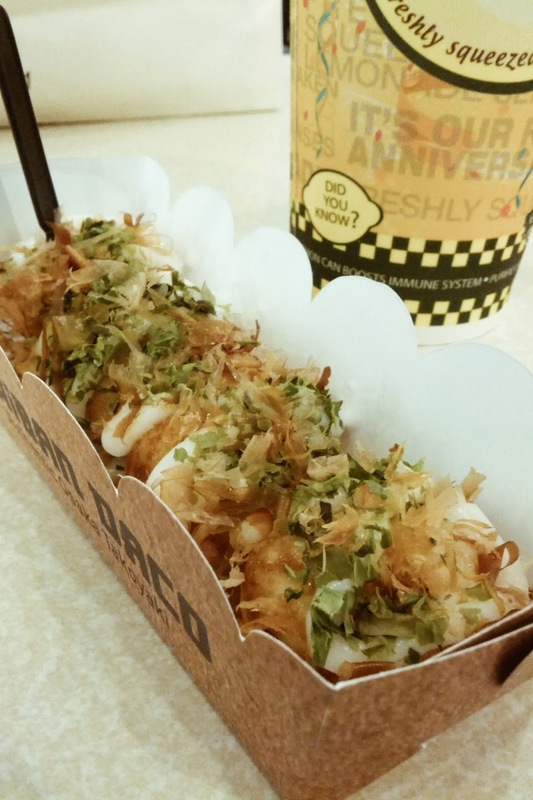 So, yeah, if you find yourself in the SM Mall of Asia food court, do yourself a favor and order some yummy takoyaki from Ichiban Daco.